Classes are given by the quali­fied certi­fied teachers of the Portu­guese language. For students with the advanced level of the Portuguese language classes give the Ukrainian teacher (generally grammatical lessons) and the native speaker the Portuguese or the Brazilian (the special attention is paid to colloquial option of the Portuguese language). Conducts groups of the Brazilian and European options of the Portuguese language. The certified teacher of the Portuguese, the translator. graduated from the Kiev international university, specialty the international relations, the translator of the Portuguese and English languages. The practice of teaching Portuguese European and Brazilian since 2009. Passed language practice of the Portuguese language in embassy of Brazil. About myself: Conduct active and vigorous life, doing cycling, acrobatics, fitness. I go hiking in the Crimea. Fond of Portuguese Speaking Countries culture, geography, international relations and information technologies. Conducts a group of Brazilian Portuguese via Skype. Portuguese native speaker. He graduated from the Moscow State University. Expert in geopolitics and international relations, translator. Is fond of culture of Russia, its nature. Was the student of a course of Russian at the State Institute of Russian of A.S. Pushkin. Is fond of Spanish. Very much likes to read the Russian classics. At home, in San Paulo, has huge library of books. 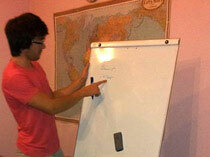 Since 2011 practises Russian teaching for Brazilians. With pleasure will help all wishing to begin the business in Brazil and open subtleties of the Brazilian legislation! Ricardo was Born in São Paulo, Brazil. 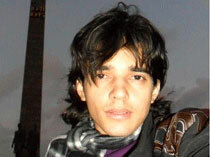 Has a bachelor’s and master’s degree in philology (Portuguese, French and Latin). 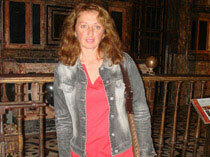 As a teacher, has worked in Brazil teaching Portuguese, English and France. Actually works and lives in Kiev. 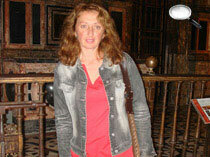 Valentina has university diploma majoring in History and English language. She’s been working at Portugal organization C.A.P.E.L.A. for a long time. Took active part in maintaining programs focused on providing positive adaptation conditions for emigrant’s children. “Learning any foreign language for many is a necessity dictated by the circumstances of life. But it turns into an enormous pleasure and love not for everyone. And it turned out that way for me! I love this wild and fascinating language that coming from the heart. Color and originality, the magical appeal of the Portuguese-speaking countries, a harmonious neighborhood of Middle Ages and modernity, an unspoilt by civilization, a gripping story - all this you can touch and feel during Portuguese studying. Do not be afraid to go beyond the conventional and the known! Make your discovery!" A certified Portuguese and English teacher. Graduated Vinnitsa State Pedagogical University the Department of Foreign Languages. Got a Portuguese course diploma Ministry of Education of Portugal. Many years of living and working experience in Portugal provides an opportunity for students to convey the subtleties of language speaking turns. Practice of providing interpretation services, organizing and diplomatic receptions.